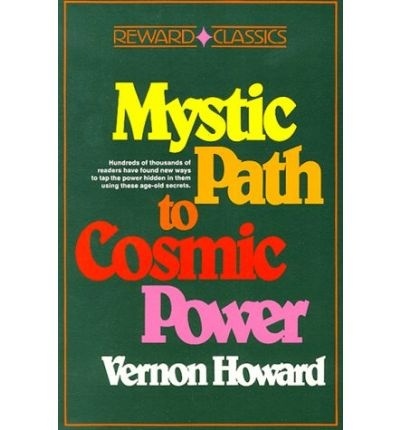 I read Vernon Howard’s Mystic Path to Cosmic Power many years ago. The biggest gem I got from it was to observe yourself nonjudgmentally. I mentioned observing myself in my last post and a couple of others. Well, this is where that started for me. Later it was reinforced by Deepak Chopra talking about being the Watcher. The immediate result I had was that I would watch myself behaving a certain way. Seeing it would register, but I gave it no thought, no analysis. Then, magically, I’d observe myself asking a different way the next time. I changed very rapidly. I had just been laid off on a contract when I read the book. About three months later, I went to a big engineering happy hour(s). People began telling me, “There’s something different about you. You’ve changed. I like you better.” That’s because in observing Rosalie, I began to love myself more. Then I was able to love others more. I let my guard down, so that I was more an “old hat” person. I think it was Norman Vincent Peale who used that phrase, old hat. His Power of Positive Thinking is a profound little book with a another very easy to follow prescription for problems and worry. All these simple techniques change us in big ways, getting ego issues out of the way of creating life as you want it. See my playlists on YouTube in the second row of my front page: Allowing Yourself to Create. Find my YouTube page by clicking on YouTube on my website Menu.